Today, we will be introducing a pachislot machine of “Yuki Yuna is a Hero”, in which its 2nd series of anime is about to air. 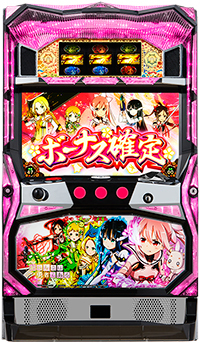 This machine has a new system called “Hero System”, incorporating a special ability of “Mankai” which appears in the original work. Its gaming feature is quite simple that the story proceeds as the player gains more winnings. Rendition of “nendroid” character, unique only to DAXEL, is also a must see!! It is expected to make its debut in July. This is a must play for both anime fans and figurine fans. 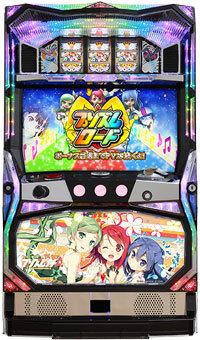 Today, we will be introducing a pachislot machine created by NET called “Priscilla and the Magic Book”. This is a spinoff of a popular pachislot series of “Cinderella Blade”. Its story is about Priscilla, who is a Puella Magi over 500 years old, fights against evil wizards casting spells onto the characters of fairy tales, and Priscilla tries to unleash the spell to bring characters back into their original form. 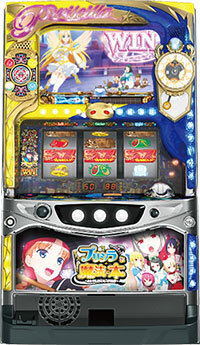 This machine is loaded with a “time link system”, that as the player plays 1G, the clock within the game moves forwards by 5 minutes, and at specific times, player may win bonuses or gets to move to a stage with higher winning chance. It is expected to make its debut in mid October! !Don’t miss it. Today, we will be introducing a pachislot machine of “Detective Opera Milky Holmes”, a highly popular content that started as a game and got developed into wide range of genres, such as anime, radio, card games and manga!! It has released a movie on February 27th, attracting many of its fans. 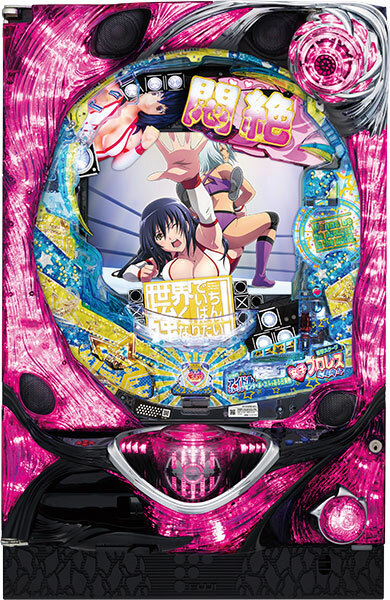 Many of the scenes from the movie are used for this pachislot machine that all players can agree on its quality. 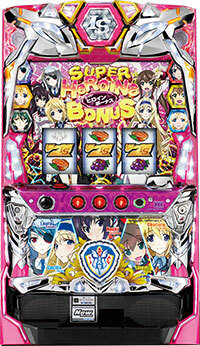 As for its rendition aspect, it uses a “story system”, so that players get to play pachislot while watching the anime. Also, there are original stories unique only to this pachislot machine!! 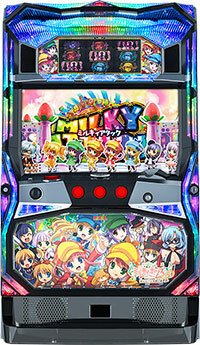 This pachislot machine of Milky Holmes can be enjoyed not only by fans, but also by people who aren’t familiar with it. It is expected to make its debut in April!! 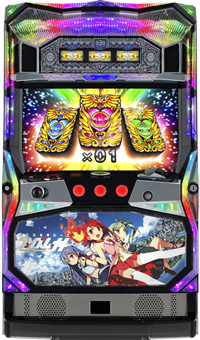 Today, we will introduce the 2nd series of a pachislot machine “Magical Suite Prism･Nana” called “Ace”, which the character design is done by popular illustrator “Kantoku”!! Shaft, the production company of “Bakemonogatari” and “Puella Magi Madoka Magica” did the animation!! 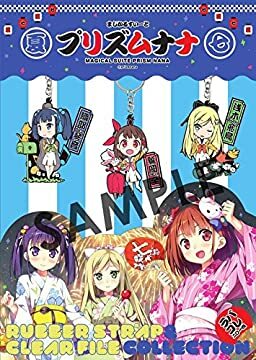 Cannot also miss the voice actors such as Asami Imai, who is known as the voice of “Kurisu Makise” from “STEINS;GATE”, and Eri Kitamura who is performing at “FAIRY TAIL”, as well as Suzuko Mimori whose popularity is surging at “Love Live!” and “Milky Holmes”!! This pachislot machine is already in the parlor! !Let’s enjoy it at the parlor!! Today we will introduce Magical Suite Prism Nana, a Pachislot machine that renowned character designer Kantoku lent his sklls for. The animation was produced by Shaft, the company that produced Bakemonogatari and Puella Magi Madoka Magica! Let’s also not forget about the beautiful voices of the voice actors! Have a blast with Prism Nana!